Start Using AYLIEN Text Analysis API for Free. Fill Out the Form and Get Your API Key. AYLIEN Text Analysis API is a package of easy to use Natural Language Processing, Information Retrieval and Machine Learning tools that will help you extract meaning and insight from text and images. Sign up for a free trial now and make up to 1,000 calls/day. 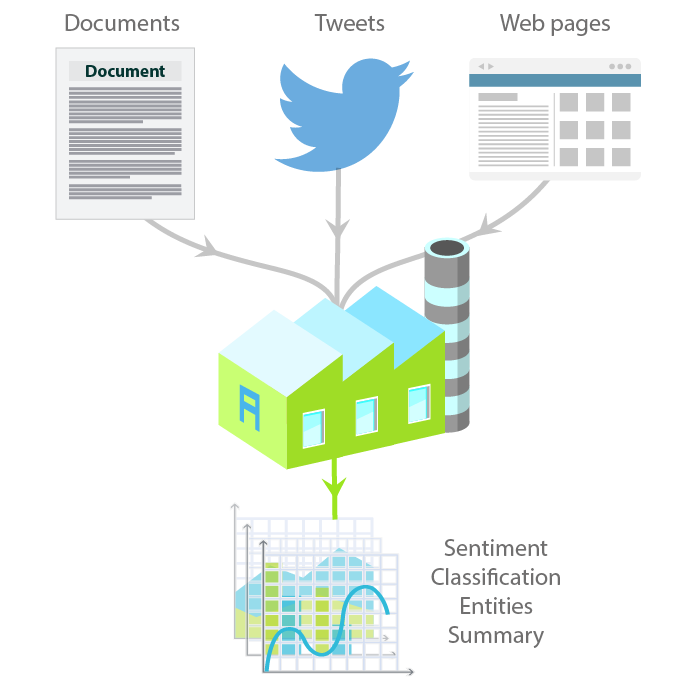 Use our Text Analysis API to analyze documents, news articles, Tweets and URL's. Unlock the hidden value of your text. 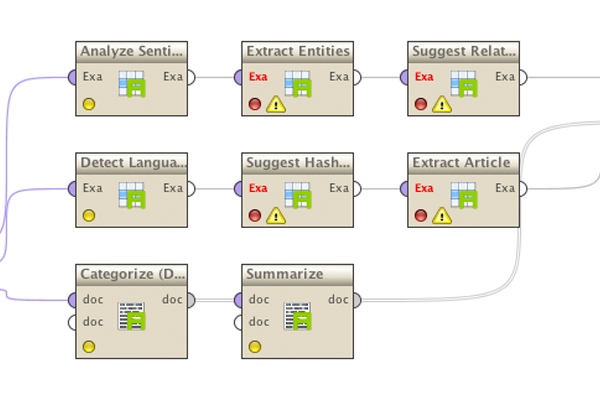 Text Analysis by AYLIEN for RapidMiner lets you easily analyze and extract insight from textual content. Effortlessly mine textual data; news articles, social comments, tweets and reviews all from within RapidMiner. By clicking on Sign Up you agree to our Terms of Service.